I really heart air dry clay-especially for jewelry. 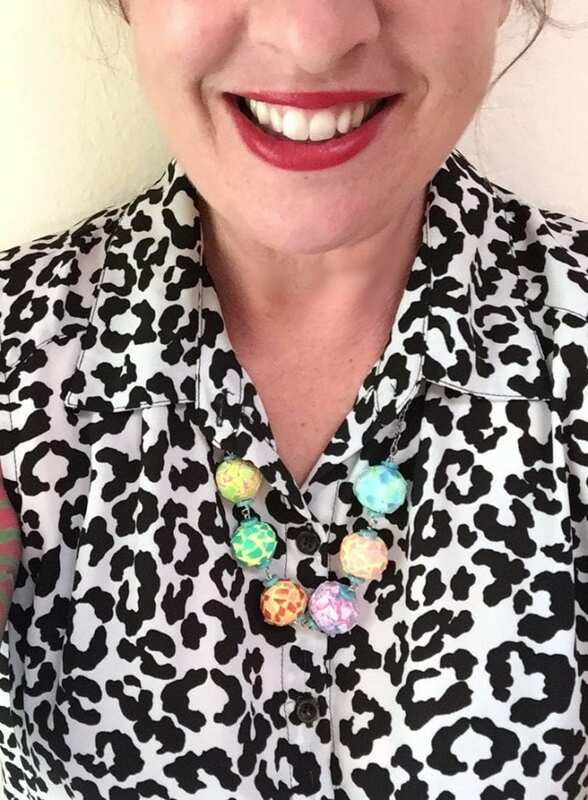 One day I will graduate to “big girl clay,” where fancy things like kilns and glazes are involved, but for now – my kids air dry clay works great for making all kinds of jewelry. I prefer Crayola brand air dry clay, but there are oodles to choose from. They have a line called Model Magic that comes in a zillion colors and works great for jewelry. 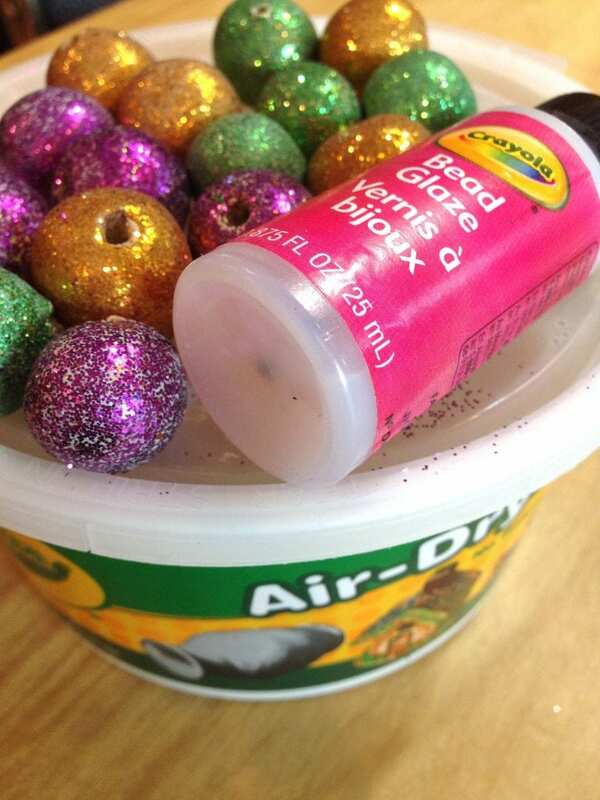 Nothing says your beads have to be small and round. I made this large center bead with air dry clay. I made marks in the wet clay and then painted it when it was dry. 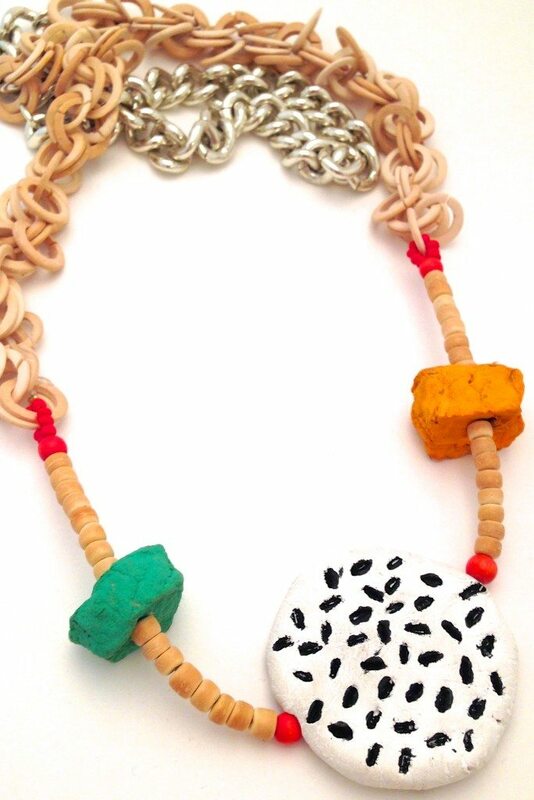 Air dry clay beaded jewelry are great projects for small hands. Think Mother’s Day, Teacher Appreciation or even Mardi Gras. 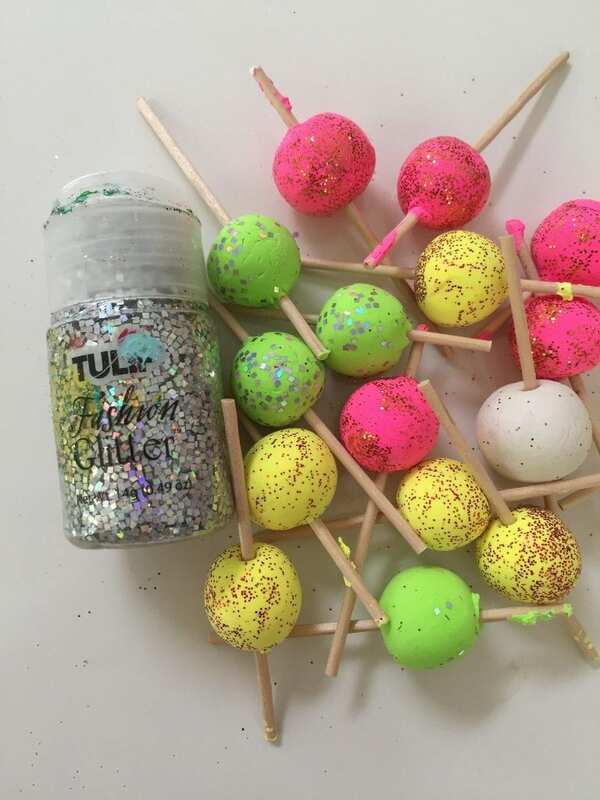 Roll in glitter like these I did for I Love to Create. There is nothing magical about dying eggs only at Easter. 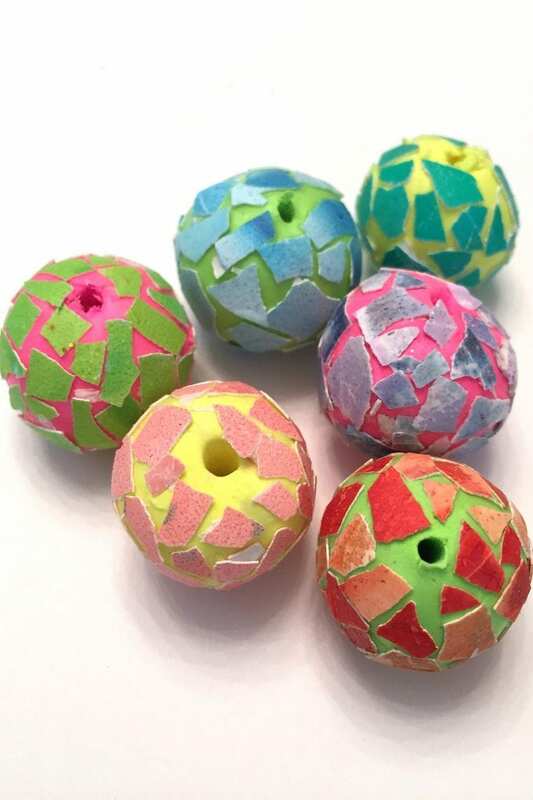 All year long colorful eggshells make for great mosaics on air dry clay beads. Check out BlogHer for the full tutorial. Admit it, your already raiding your kids craft closet looking for the air dry clay aren’t you? 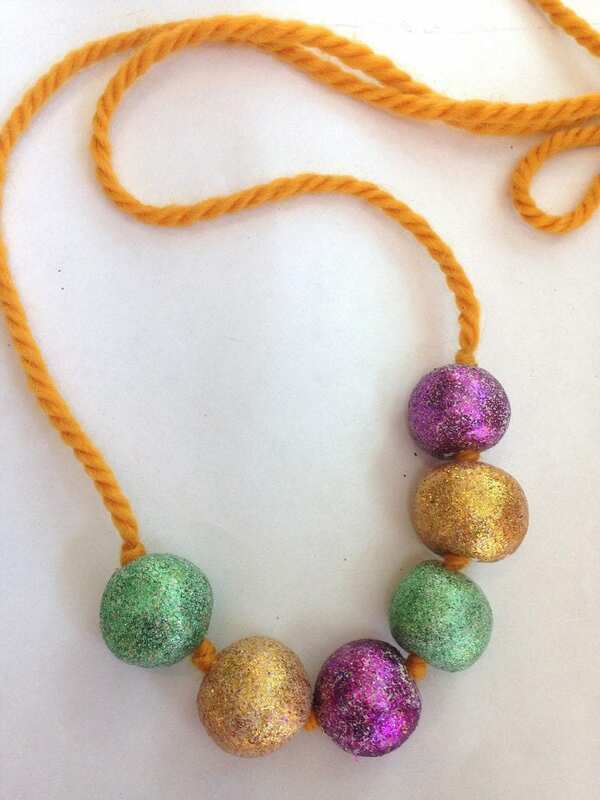 Posted April 30, 2015 & filed under Crafts, Kids Crafts, Recycled Crafts, Wearable Crafts.